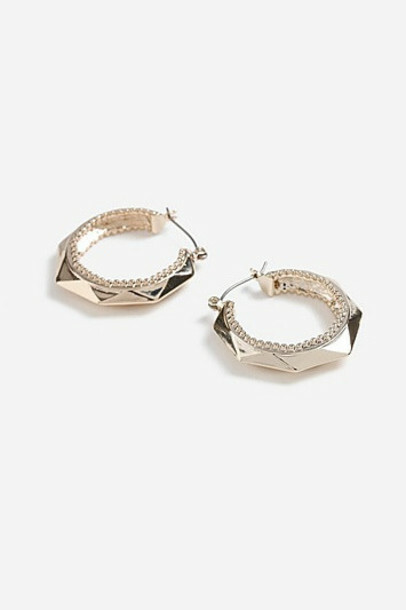 Gold Look Hoop Earring With Octagon Edge Detailing. Total Length Measures 4Cm. By Freedom At Topshop. 100% Metal.